It’s been just about three months that I’ve been recovering from a shoulder injury that’s taken longer to recover from than I had hoped. 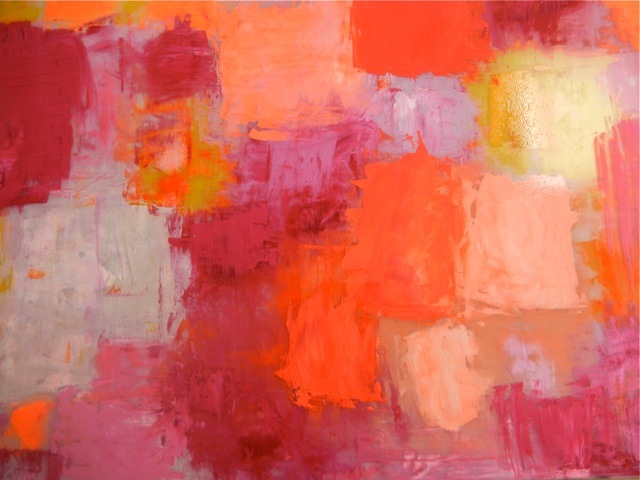 Now I’m working my way back to creating pieces that express moments of spontaneity and personal expression. Lately I’ve been reading The Creative Habit by Twyla Tharp and it’s been inspirational in regard to the process that all artists go through in creating something from nothing. The chapter on Scratching has me delving deeper into my own evolution of innovating. There’s a Chinese saying that goes something like “The long journey begins with the very first step”. 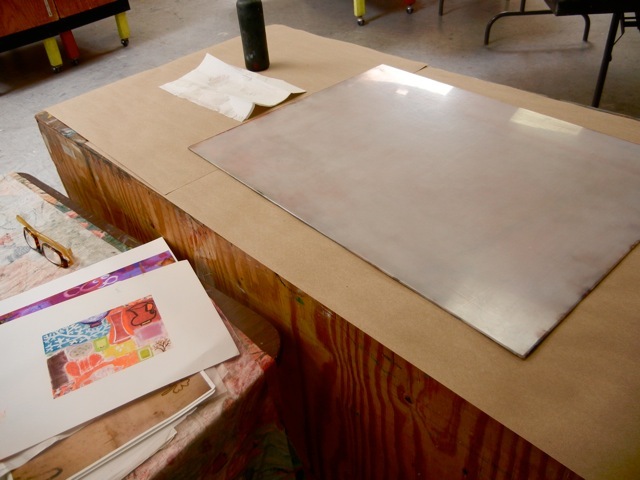 In the printmaking studio I have my plexiglass plate and gather my thoughts and pieces of inspiration to awaken my thought process. This is an example of the ink that I’ve built up on the plate. Improvising as I go the color choices and textures reveal themselves and blend like a puzzle. It’s like swimming through an idea. Preliminary monotypes in the drying rack. 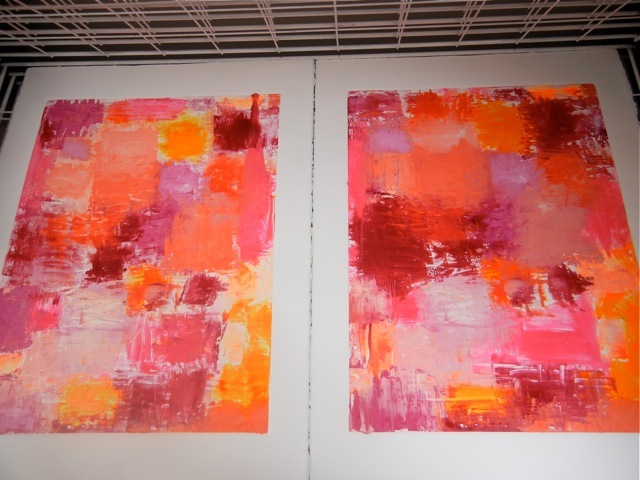 These prints are hot off the press and present suggestions about where I’m headed with color, texture and ink viscosity. From here I start adding elements that tell my story for the day. This week I fell in love with organic shapes and glazes found on hand thrown ceramics. My most recent muse has been the exhibit of New Ceramics by Ken Matsuzaki at the Pucker Gallery in Boston. Each piece is so striking and different and yet they all tie together as the work of one artist. Definitely worth the trip! Please check out the details on my Calendar about a couple of exhibits that I will be participating in at the South Shore Art Center opening next week. You are currently reading Scratching… at donna ingemanson studio.